Reforms under the 2018 tax bill have created significant changes for individual and business owners alike. But, happily, the new law makes few changes to investment income taxes. In fact, dividends and capital gains will stay where they were in 2017. For capital gains and qualified dividends, that means a maximum tax rate of 15% for taxpayers in the lower tax brackets. For those in the highest tax bracket, the tax rate is 23.8%, including the 3.8% Net Investment Income Tax, associated with the Patient Protection and Affordable Care Act. Let’s look at how current capital gains tax rates stack up in 2018. The rates are either 0%, 15% or 20% for most assets held for more than a year. Capital gains tax rates on most assets held for less than a year correspond to ordinary income tax brackets (10%, 12%, 22%, 24%, 32%, 35% or 37%). If you held the asset for less than a year, it’s a short-term capital gain. These are taxed as normal income, much like your wages. If you held the asset for more than a year, it’s a long-term capital gain and taxed at a different rate. Capital gains taxes can apply on investments, such as stocks or bonds, real estate, though usually not your home, cars, boats and other tangible items. So, it applies to business owners and individuals. The money you earn on the sale of any of these items is your capital gain. Money you lose is a capital loss. Small business owners win big! 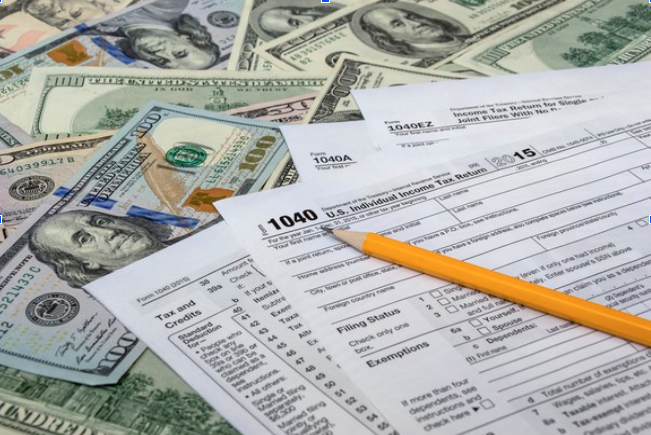 While the corporate tax rate was reduced to the historic low of 21 percent from 35 percent, perhaps the most significant tax change for individuals is the modification in the treatment of income from pass-through entities. Many businesses are pass-through entities, so the effect could be large and swift.Pass-through income is generated via business income from business structures like partnerships, S corporations and sole proprietorships. The new tax rates have a large effect on pass-through income, since this form of income was previously taxed to the end taxpayer, not at the corporate level. In 2018, lawmakers have reduced the top tier rate from 39.6 percent to 37 percent. That’s welcome news to business owners and individuals alike. When you are eligible for the pass-through deduction, 20% of taxable income gets taken off the table for tax calculation purposes. That means if you’re in the new highest 37% tax rate for 2018, this rule lowers your effective tax rate to 29.6%. Most agree, found money is nice wherever it may come from. This change may enable taxpayers to consider converting from a C corporation structure to the S Corp structure, or create a partnership to leverage pass-through opportunities. This deduction is a broad and sweeping benefit to American small businesses. Tax deductions lower your business’s taxable income. Under this act, a business’s taxable income was reduced by 20 percent. So, if your annual business income is $100,000 per year, the IRS only taxes you on $80,000 of it. The hope is that this deduction will provide small businesses with some financial breathing room – this allows business owners to reinvest that saved money back into their businesses by buying new equipment, hiring new workers or expanding operations. Still have questions? The highly knowledgeable accountants at TYS LLP are happy to help guide you. Just give us a call at 585.678.9015 East Coast or 925.498.6200 West Coast.